Really enlightening. Thank you WPBeginner! Thanks for this wonderful guide. I have found you blog quite interesting and informative. All your topics are important to learn. And the content on this site is amazing !! Thanks for the information !! And Keep Posting !! Its a useful post, Can I compare products? The plugin does have a comparison table, if you take a look at the plugin’s page they can let you know the specifics. Hey, can I create a review site under a sub-domain? Yes, you can. However, you will need to install a seperate WordPress instance in a subdomain. However, it will be quite complicated to integrate both your root WordPress install and the subdomain install to look like they are the same website. This is a good how-to-create guide, but what options are there to monetize this type of website? There are several ways to monetize. 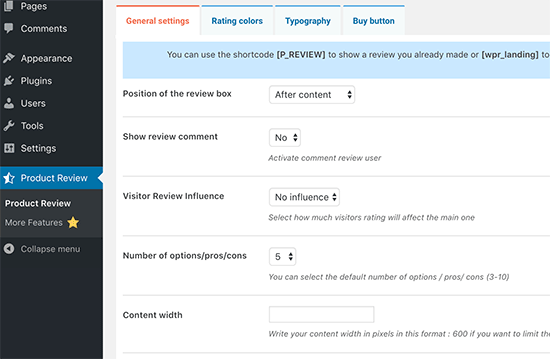 You can add paid reviews, affiliate marketing, or monetize using ads on your website. Wow! This is just great! Saved me a lot of time. I love the plugin and it looks nice when reviewing a single product. I’m not sure about using it for a top 10 list though. Is it possible? All the same, I LOVE it. Hello, great article! i think this plugin you mentioned is good for product reviews only, I started a new Reviews WordPress site to review all gold investment sites, i can’t find a plugin to help with creating this, i am doing it with just pages and posts like any other site, please if you have any idea what plugin to use for this let me know. I even searched Fiverr to find someone who know how to do this but couldn’t find any. 1. Can this widget collate review results by the logged in reviewer’s data, i.e. to show users with x trait gave it 4/5 and users with y trait gave it 2/5? 2. 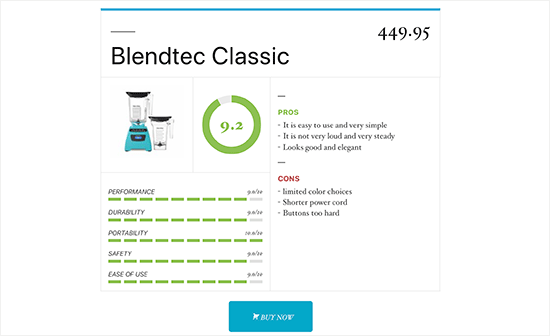 And would it be possible (or how) to be able to have a database system on the back end where you can hit add product, upload the pic and info, then it gets added to the front end, with an automatically generated page showing the products by category, then when a reviewer goes to the product page they can hit a review button and rate it? Kinda like an online shopping site but with the complicated review system. Any help is hugely appreciated, thanks heaps! 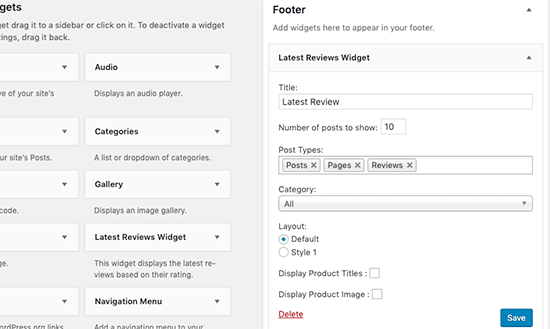 I have reached out to the WP Product Review plugin team and they indicated right now the plugin doesn’t allow visitors to create reviews from scratch, but that once the admin has created a review than visitors can then add their own review. 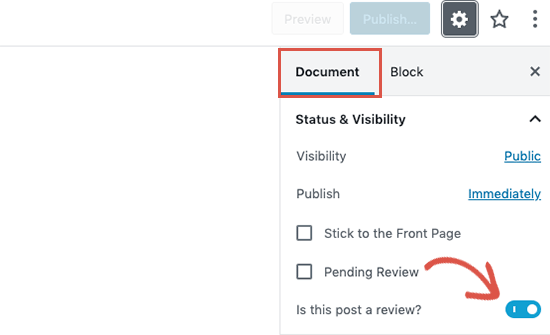 Is there another WordPress plugin or theme that allows users to create reviews prior to the admin initially creating their own review? Actually there are several plugins. 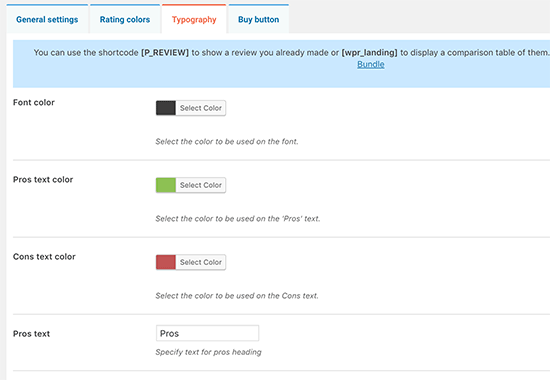 For example, if your reviews are a custom post type, then you can use WPForms to accept reviews from users. You will need WPForms with their User Submitted Posts addon. Well, that’s a critical fail. I can see where the plugin might assume that the site owner would be posting all reviews, but the power in reviews is the public aspect: sign-in, write a review as on Google, Yelp, Amazon, etc. Without that, I don’t see the point. Nice piece of information, you have saved my day. I am wondering if you suggest some themes for reviewing website. @wpbeginners editorial staff please let me know is it possible for me to start a review website where people who has used the product can write reviews themselves.if yes , is there anyway WordPress can help me with.Or your team can do any favour to answer or help with that . We are not exactly sure what kind of scenario you are facing. However, yes you can have customers leave reviews of the products they have used. 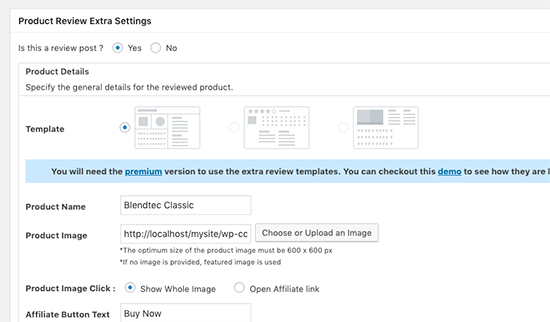 I want to do 5-7 product reviews in one page by this plugin. Is it possible? How would I go about setting up a single page, on an existing website, that shows reviews and can take reviews (form at top or bottom I suppose)? How can I let everyone contribute to the rating, like Amazon books? I want them able to rate without even writing a comment. I want the final rate comes from the user, not the author, every one has the same weight of influnce to the rating. 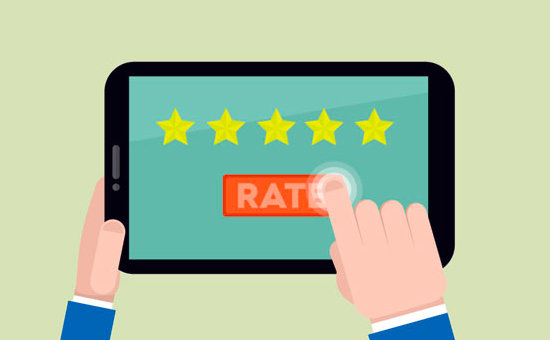 I am wondering, do you have another article teaching how to creating a rating/review site that I will not be doing the review but individual user/general public can write review and put ratings on something? Is it possible to achieve it with wordpress plugin? Did you get a response to this question? I am also interested in the same thing. Great post. Because of the capabilities, WordPress has been a great enterprise web content management services that allows users to develop sites effortlessly. 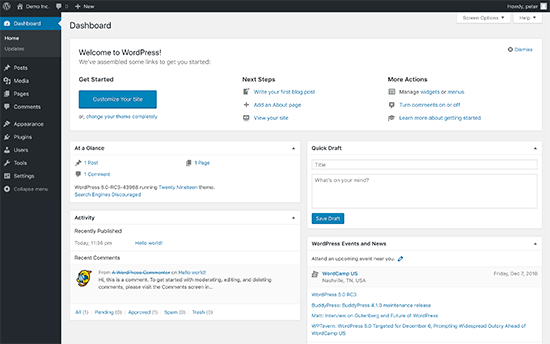 The built-in tools like themes, modules and plugins are extremely easy to install and use which takes WordPress ahead of other platforms like Sitefinity CMS, Drupal and others. It is important to identify right SET of tools, and with that it means each tool must complement each other. Make sure that tools are used optimistically and use only if that is utmost necessary. Regular reviews help site owner to get insights about web performance and help to further nurture the site for better results. Very good article. Now how about a WordPress plugin (or theme) that does the same thing, but in the reverse. I mean how about allowing the site visitor (instead of the author) to grade several different options of a product. This would be equal to a site that is essentially guest-contributed, just like Tripadvisor or Yelp. Really, very useful article and i would sat Got an Idea! WPBeginner is one of the best site, After reading this article I found some important things to do in my review niche blog. Thank you for sharing such a useful article. Great Post and very informative. I am considering starting a review site and I am still fairly new at this so I hope you don’t consider this a stupid question. Having a review site wouldn’t you have to purchase and personally review each item you put on your site or would you just be relying on what other say about it and pulling reviews in from say Amazon for example. That’s up to you. Obviously it would be better and more ethical if you reviewed the products that you have used or trust. I just love this site. Everything is useful. I also run a product niche site and I am earning several hundred dollars per month. But yes thanks for providing the useful plugin like wp product review about which I didn’t knew. Definitely will use it in the coming times inshallah.